Though statistics indicate that trillions of dollars will be transferred to the younger generation in the next 50 years, the recipients of that inherited wealth are unlikely to preserve and pass on their inheritance intact. Faced with this prospect, many families today wonder how to successfully transmit to their progeny their own capacity, connections, compassion, and competency that built the original wealth, so that future generations can enjoy these same advantages, and more. 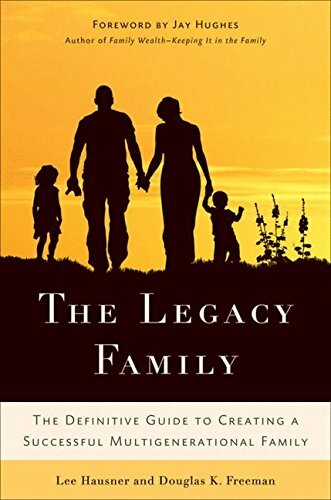 The Legacy Family, written by two experts in the field, will provide readers with a roadmap for detailing how to leave family wealth and more importantly, legacy, intact. Readers will learn a variety of skills, from how to articulate a collective vision for the future that can be embraced by all family members to the importance of creating a process so that future generations can help each member shape their own future, while nourishing their close family bonds. This is must reading for any family that wishes to ensure that their future generations have a solid foundation on which to build successful lives.